The first day of Spring brought PRSA members to the Cincinnati Museum Center at Union Terminal to hear about the recent restoration of the historic facility (and Cincinnati icon) from a PR perspective. The organization relied on transparency, frequent media access and experiential events to drive successful PR coverage for the Museum Center. See the photo gallery below for photos from the event! This post is from Diego Marcucci, a Miami PRSSA student. For Danielle Jones, educating others about the importance of diversity and inclusion is something she’s passionate about. In her current role as an assistant vice president and senior public relations manager at Fifth Third Bank, it’s a part of her job. But, beyond that, it’s been a part of her life. Jones believes everyone has a voice and deserves to be seen and heard. On Feb. 19, more than 150 PRSSA members and communication students packed into Bachelor Hall on Miami’s campus to hear her story. To reinforce the importance of these topics, Jones provided statistics about businesses and organizations that have increased or improved their workforce diversity. She said that ethnically diverse companies are 35 percent more likely to outperform their peers and if organizations aren’t able to internally manage diversity properly, they’ll get left behind. 1) Speak up when you notice that diversity is lacking in marketing and communication materials. 2) Offer a different perspective when you see racial bias in our field. 3) Challenge yourself to see things from a different perspective and consider the standpoint of the audience. 4) Seek local input and guidance from those whose lives are different than yours. The importance of diverse voices is the central theme of Miami’s current Bateman competition campaign, #MUVOICES. They are sharing about the PRSA Foundation’s new book “Diverse Voices” as well as spreading awareness of the importance of diversity and inclusion by encouraging others to sign a Diversity Pledge. Miami University PRSSA Students with Danielle Lewis and Professor Shara Clark, APR. To my Cincinnati PRSA colleagues – I send you my heartfelt thanks for allowing me to serve you as president this year. A humbling experience, it was a highlight of my career. I began 2018 knowing that we needed to tackle the roadmap laid out in our strategic plan. We had several objectives to accomplish this year and others we needed to start. I’m proud to report that we met each 2018 objective, made excellent headway on our long-term objectives and did so much more. It has been a true pleasure. Stay tuned for next year, when Erin Rolfes, APR, assumes the president role. I cannot wait to see the great heights she will take all of us. Unless you’ve been in a cave the past 10 years, it’s no great surprise to learn that the media landscape has changed. Many of the “old timers” in PRSA can remember media days that were panel after panel of traditional print, broadcast and trade journalists telling us how they prefer to be pitched. One only needs to glance at this year’s program to see how times have changed – this year we welcomed influencers and spent a good portion of the day learning about new outlets and news ways of breaking through the clutter. Keynote speaker Paul Fox framed PR’s role, talking about the threat of fake news and PR’s ability to help propel truth. Ever hear of Cheddar? No, not the stuff you slap between buns on a burger. As speaker Kevin Dugan shared with us, Cheddar represents an emerging category of “post cable” news outlets, providing on-demand content to a generation of viewers who want information on their terms. Knowing these outlets — and how to engage them — is critical for savvy PR pros. Our influencer panelists helped show how the lines have blurred, making what used to be unpaid pitches to garner coverage look more like an advertising-PR mashup. · 4.3 billion pieces of social content are produced each day. · You’ll receive, on average, 1500 pieces of content in your individual news feed. · There are 60 million Facebook pages for brands, yet only 4 million (6.5 %) advertise on the platform. The takeaway? Having good content is important, but it needs to be backed with dollars to be seen. · Give the list some love. It’s hard to build those productive relationships when PR practitioners continue to blanket-pitch reporters without taking the time to understand what they cover. · Crisis communication panelists Chris Kemper and Courtney O’Banion shared keys to navigating a crisis, emphasizing the importance of making sure you’re prepared with a robust plan and media training your spokespeople. · Jennifer Tan and Bo McMillan showed how creative collaboration helped their organizations earn more coverage. If you attended media day, offer your takeaways online or in the comments section! 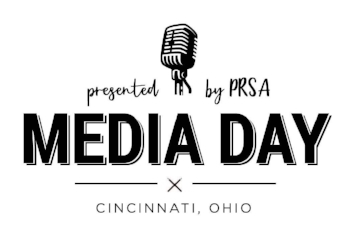 PLEASE NOTE: the event location has been updated to WCPO Studios on Gilbert Avenue, and the RSVP deadline has been changed to Monday, September 17. Please see below for full information. The Cincinnati Bell Connector streetcar took to the rails nearly two years ago with a huge community celebration. Since then, with the help of supporters, media ops and fun promotions, Cincinnati has celebrated the streetcar’s many milestones and how it “connects” the community to the vibrancy of downtown and OTR. UPDATED: 5:00 p.m. on Monday, September 17 (this is also the deadline to cancel and receive a refund). A limited amount of free parking is available at the WCPO visitor lot, on the south side of the building. Nearby street parking is also available on Gilbert Avenue. 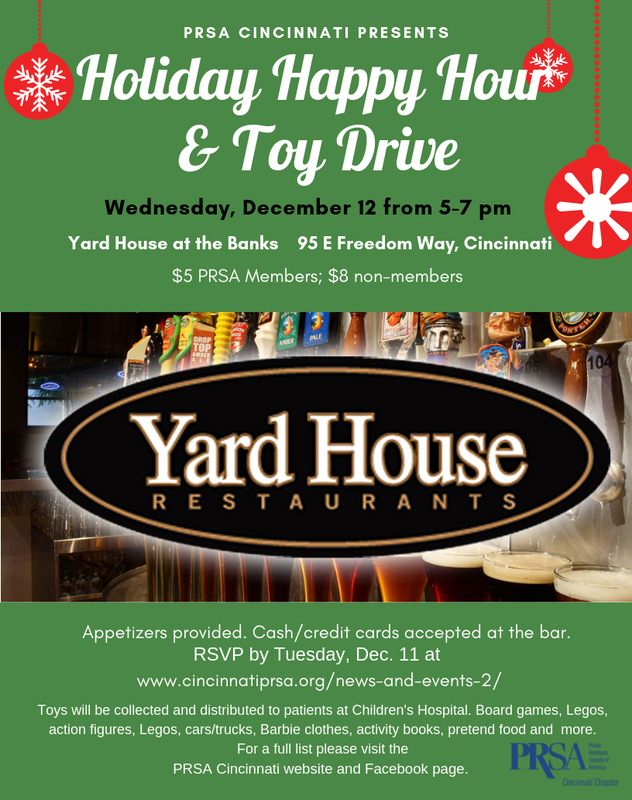 * When arriving, you'll need to buzz in to the building - let them know you are attending the Cincinnati PRSA event. The receptionist will direct you to the correct floor. Those were some of the words most frequently used to describe cincinnatiprsa.org in our website survey, conducted earlier in 2018. And yet, the Job Bank, which accounts for more than 60 percent of the site’s total pageviews, is buried in the navigation. Why does this matter? Launching a revamped website is one of our chapter’s objectives for 2018. It’s just one of the ways we will meet the strategic goal of developing robust, external communication efforts. About that survey… The feedback wasn’t all positive. Some see the website as “clunky.” Others said it lacks personality, excitement or engagement. Positive or negative, all of these comments have been valuable to the research phase of our website project, led by the Cincinnati PRSA digital committee. I’m amazed--but appreciative--that 28 percent of our survey respondents are not active members. This will be particularly helpful as we rework the membership component of the site. Our committee also analyzed six other websites, including Midwest PRSA chapters and Cincinnati-based marketing and PR groups. Finally, we took a close look at the site’s analytics and content management system. Our findings determined the overall scope of the project. I’m thankful to everyone who took time to share input during our survey, including our entire Cincinnati PRSA Leadership Team. I also want to give special thanks to our digital committee members Megan Heimbuch and Erin Rolfes, APR, who have lent their time and experience to this project. Our Chapter President, Darcy Schwass, APR, and Chapter Business Manager, Elliot Campbell, have also been extremely generous with their time. I hope during your next visit to the site, you’ll find it’s cleaner. Easier. And even more organized. The public relations industry, and PR agencies in particular, are not particularly diverse, as noted in this recent Harvard Business Review article. Because of this, African American PR pros face unique challenges in their careers. Earlier this year, some local pros in media, journalism and PR discussed the benefits of establishing a professional organization. Coming out of those conversations, the Greater Cincinnati Black PR Pros was launched. This group was created to unite black PR and communication professionals in the Greater Cincinnati area. To learn more about this group, I sat down with its founders, Keeyana Avery (founder, Agency Seven PR), Danielle Jones (Assistant VP, Senior Manager, Public Relations and Jenifer Moore (Sr. Public Affairs Specialist, AAA Club Alliance), to get their perspectives on how they can help support and grow the local community of African American PR professionals. What are the goals for the Greater Cincinnati Black PR Pros? Jones: Our goals are multifaceted, but one of our primary areas of focus is to connect with one anotherand offer a safe space for African American PR professionalsto discuss their careers, their challenges and their successes. Through these connections we believe we’ll help each other grow and advance professionally. Moore: When I moved back to Cincinnati, I didn’t know how many African American PR pros were here. This group allows us to share ideas, network and mentor one another. Our experiences are very different from the broader group of PR professionals, and we can learn from each other. Are there some challenges the group hopes to address? Avery: There are times when we walk into a boardroom or meet with a potential client and are dismissed because of our race. We hope that, together, we can help overcome some of those biases. Jones: We plan to address some of the biases that we are faced with as practitioners of color. We also see our group as a place where we can advocate for one another and help navigate common issues we face. In addition to that, we want to tackle tough topics that are occurring in our industry that specifically affect us. Moore: We’re also hoping to be a sounding board for the communication community to help vet messages that will be seen by diverse audiences. We’ve seen big national brands produce communications that were insensitive to African Americans and tarnished their reputations. Moore: We recently held a happy hour to get to know each other, and it was incredibly successful with a great turnout. We plan to work with the PRSA to offer diversity programs, partner with local university PRSSA chapters and do other activities to help build awareness that there are PR professionals of color in the Greater Cincinnati region. Avery: We all love PR. We’re interested in this industry and we want to share our passion to help the next generation of PR pros be successful. Jones: Our quarterly meetings are free and our networking events that we host with other local organizations are of minimum charge. We encourage members to get involved with PRSA and other organizations and events in the community. Is the group supported by PRSA? Jones: We are truly blessed, since we not only have the support of the local PRSA chapter, but we are also supported by the Greater Cincinnati Association of Black Journalists. Naturally, having a connection with the reporters and producers we work with regularly is extremely helpful. Email Gcbprpros@gmail.com to be added to our listserv and receive information on upcoming events. Danielle Jones, Keeyana Avery and Jenifer Moor at the recent PRSA Black PR Pros happy hour. The Flying Pig Marathon has been a national leader in social media activity in the road race industry for a number of years. 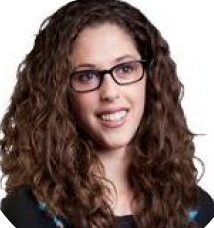 Jackie Reau of Game Day Communications, who is on the communications team for the Flying Pig Marathon, will share lessons learned on how the Marathon's social strategy has evolved from the early days. From specialized content developed to meet runner's training schedules to how social has become a main customer service channel and sponsor messaging integration, Jackie will provide insights and analytics for discussion on social media strategy. All attendees will receive lunch. 5:00 p.m. on Wednesday, August 15 (this is also the deadline to cancel and receive a refund). A limited amount of free parking is available at the WCPO visitor lot. Nearby street parking is also available. Congratulations to chapter member Drew Boehmker, account executive, Scooter Media, who was recently named a Next Generation Leader award by Legacy. See details here. Great job, Drew! 2018 Blacksmiths Lunch 'N Learn - August 9, 11:30 a.m. - 1:00 p.m.
Do you want to know the secrets to winning a Blacksmith - Cincinnati PRSA's top award? Then join three winners at a Lunch 'N Learn on Thursday, Aug. 9, from 11:30 a.m.-1:00 p.m. at Wordsworth Communications. This is a brown bag, so please bring your own lunch and drink. Each of our panelists have represent organizations that won Blacksmith Awards in 2017, and will share practical tips on assembling a top-notch entry - because even an excellent campaign or tactic may not be recognized if the entry isn't professionally compiled. Because this event has been popular in the past, and because of our venue capacity, we ask that no more than two representatives from your organization register. 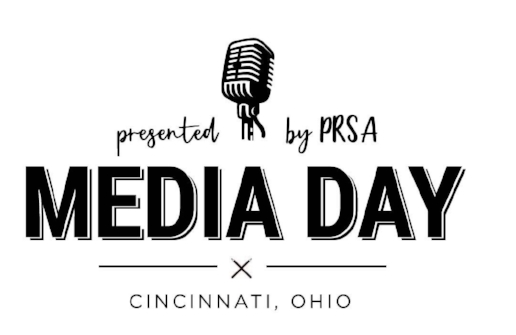 If you are interested in having more representatives attend, please email cincyprsa@gmail.com - if there is additional space after the RSVP deadline, we will contact you to let you know. Street parking is available on Reading Road, as well as other streets surrounding Wordsworth. Free parking is also available across the street at the Jack Casino. Fake news. Polarized politics. Social media. Knowing what institutions the public trusts is crucial as we lead public relations campaigns, and in uncertain times, it’s more important than ever to have a sense of the public’s level of trust. With that in mind, PRSA held a discussion analyzing the 2018 Edelman Trust Barometer research findings. The annual Trust Barometer research provides a benchmark around organizational trust across 28 markets globally. To continue the conversations started at our June event, we spoke with Stephanie Nagy Shewmon, VP of Public Affairs at Edelman, to get context around this research and what it means for PR pros. Question: So, what are the topline findings for this year? Shewmon: Our research looks at the state of trust in institutions, and this year we found a new trend – trust is becoming increasingly polarized. What that means is, we see that what is driving the trust decline in the U.S. and other markets is actually a battle for truth. • The trust crash among the U.S. general population is the steepest recorded in Trust Barometer history (18 years). Trust fell across all four institutions. • Trust in government has declined 30 points for the informed public and 14 points for the general population, dragging down the other institutions with it. • These declines in trust occurred across geography, income and gender. The result is an unsettled and unnerved public at large. Vast swaths of Americans no longer trust their leaders. Question: Yikes! Was there any “good” news in the research? Shewmon: In this world of confusion, we are seeing a rebound in trust toward voices of authority, particularly CEOs (a seven-point gain) and journalists (a 12-point gain). The public often trusts individual journalists more than platforms. Expert voices across business registered broad gains in credibility, with the net effect of technical experts, financial industry analysts, and successful entrepreneurs all enjoying credibility levels of 50 percent or higher today. Question: What are the implications of this research for PR pros? Shewmon: I believe there are several. As I shared at the meeting, Edelman’s Trust research shows that business must own its own story. The role that business plays in being a guardian of information quality, an advocate for truth, has never been more critical. In a world filled with fake news and disinformation, being silent is no longer an option. In this battle for truth, Richard Edelman likes to repeat that silence is a tax on truth, hurting our ability as a society to return to a place where we have a shared understanding of the facts and data on which to base a discussion. Business must own its own story, make sure it’s authentic, and share it with core stakeholders. Be sure to emulate the best parts of quality journalism with clear, citable, and accessible information, and share it on multiple formats. And don’t forget to activate subject matter experts. Question: What, in your view, is the best way to act on this research? Shewmon: I think PR pros can help the organizations they serve by creating credible content like I already mentioned, but also by building relationships with media brands – and journalists - they trust. Remember to engage your audiences. Conversational engagement is key to credibly informing your stakeholders, and people want to hear from a variety of voices. People find a company’s social media far more believable than its advertising, and the majority believe that both CEOs and also employees should directly participate in their company’s social media efforts. Activating your efforts to inform and engage across the entire organization is the critical final step. Shewmon: Another tip I shared at the meeting was to use peers to reach the disengaged. 65% of people would check out a news story after hearing about it five times or more. Build on what makes peers trustworthy and relatable: 1) They are very honest. They always say what they truly believe. 2) They have nothing to gain from giving me bad information. 3) We see the world and think in the same way. Question: What if readers would like to see the entire report? Shewmon: It’s available for download here, along with quite a bit of supportive materials. New Categories Coming to 2018 Blacksmiths! It’s never too early to start planning for this year’s Blacksmith Awards! We hope to open the contest earlier this year – to give you more time to assemble your entries. In the meantime, the Blacksmith Committee wanted to share with our PRSA members the 2018 categories, which are based on national PRSA’s Silver (Campaign) and Bronze (Tactics) awards. There are a lot of new categories – including a Budget category in Campaigns; and SEO, Influencer, and Customer Service categories in Tactics. Our Professional categories have not changed. If you know of a wonderful PR educator, please nominate that person! And if you know students at any of the four PRSSA chapters in Greater Cincinnati – UC, Northern Kentucky, Xavier, and Miami – urge them to consider entering the PRSSA categories this year! Stay tuned for more information as we get ready to open awards – including everything you need for an award-winning entry! These categories recognize public relations campaigns that successfully changed awareness, opinions, attitudes and behaviors, or strengthened community relations. Note: These are based on the 2018 national PRSA Silver Anvil Awards. A01. COMMUNITY RELATIONS: Campaigns that aim to improve relations with, or seek to win the support or cooperation of, people or organizations in communities in which the sponsoring organization has an interest, need or opportunity. A02. CONTENT MARKETING: Programs that effectively demonstrate a strategic program that includes creating and distributing valuable content to attract, acquire, and engage target audience(s). Include examples and metrics. A03. CRISIS COMMUNICATIONS: Campaigns undertaken to deal with an unplanned event that required an immediate response. A04. EVENTS & OBSERVANCES – MORE THAN 7 DAYS: Includes programs or events, such as commemorations, observances, openings, yearlong anniversaries, celebrations or other special activities. A05. EVENTS & OBSERVANCES – 7 DAYS OR FEWER: Includes programs or events, such as commemorations, observances, openings, yearlong anniversaries, celebrations or other special activities. A06. FINANCIAL COMMUNICATIONS: Campaigns directed to shareowners, other investors and the investment community. A07. GLOBAL COMMUNICATIONS: Includes any type of program, such as Reputation/Brand Management, Marketing or Events and Observances, that demonstrates effective global communications implemented in more than one country. A08. INFLUENCER MARKETING TO EXPAND AWARENESS: Program that focuses on using paid spokespeople and key leaders to increase awareness and drive your brand's message to the larger market. A09. INTEGRATED COMMUNICATIONS: Any campaign that demonstrates leadership of public relations strategies and tactics in a creative and effective integrated campaign, along with other marketing or communications. The program must demonstrate the clear leadership of public relations, along with its integration with other disciplines. A10. INTERNAL COMMUNICATIONS: Campaigns targeted specifically to special publics directly allied with an organization, such as employees, members, affiliated dealers and franchisees. A11. ISSUES MANAGEMENT: Campaigns undertaken to deal with issues that could extraordinarily affect ongoing business strategy. A12. MARKETING: Campaigns designed to introduce new products/services, or promote existing products/services to a particular audience. A13. MOST EFFECTIVE CAMPAIGN ON A $5,000-$10,000 BUDGET: Effective campaign delivered within parameters of a limited budget. This does not include staff time and overhead. A14. MOST EFFECTIVE CAMPAIGN ON A $5,000 BUDGET OR LESS: Successful campaign despite constraints of a small budget. This does not include staff time and overhead. A16. MULTICULTURAL & DIVERSITY: For any type of campaign, such as institutional, marketing and community relations, specifically targeted to a cultural group. A17. PUBLIC AFFAIRS: Campaigns specifically designed to influence public policy and/or affect legislation, regulations, political activities or candidacies — at the local, state or federal government levels — so that the entity funding the program benefits. A18. PUBLIC SERVICE: Campaigns that advance public understanding of societal issues, problems or concerns. A19. REPUTATION & BRAND MANAGEMENT: Campaigns designed to enhance, promote or improve the reputation of an organization with its publics or key elements of its publics, either proactively or in response to an issue, event or market occurrence. A14: PRSSA CAMPAIGN: Any campaign conceived and executed by a PRSSA student or team. These categories take a closer look at the individual components of your public relations plans, and the tools used to successfully communicate your message. Note: These are based on the 2018 national PRSA Bronze Anvil Awards. B01. BEST SPONSORSHIP ACTIVATION: Sponsorships represent the alignment of shared values and goals, and can be profitable marketing opportunities for building harmonious partnerships. Activation requires a deep understanding of brand synergy to support how affiliations are formed and promoted to vetted demographics. Show how the activation leveraged investment. B02. MOST EFFECTIVE INFLUENCER PROMOTION: Influencer marketing focuses on an individual the audience sees as a trusted source of information and which can be differentiated far better than through advertising or content marketing. How did you ensure maximization of your ROI with these highly targeted consumers? B03. BEST SEO: Were you able to improve your brands SEO with paid results on major search platforms? If your team or agency had a successful paid search campaign across one or more search-based advertising platforms that demonstrated improvement and a positive return on investment share your metrics and results. B04. MEDIA RELATIONS: Tactics, programs and events driven entirely by media relations. Submit press releases, media advisories, pitch letters, requests for coverage, etc., along with the one-page summary that includes measurable objectives and results, such as evidence of the resulting media coverage. Upload or provide YouTube/Vimeo links to any television or radio coverage. B05. FEATURE STORIES: Feature articles that have been written by a practitioner, and submitted and published through his/her efforts. Submit text of feature article, as well as documentation of publication and placement. The one-page summary should include target audience, measurable objectives and any documented results. B06. BLOGGER CAMPAIGNS: A proactive outreach to the blogger community on behalf of a product, service or organization. The one-page summary should include rationale for blogger outreach strategy, statistics or other means of quantifiable measurement to support stated objectives, as well as a copy of (a) the outgoing messages and (b) the resulting blog entries either as uploads and/or the actual site URLs. B07. EXECUTIVE COMMUNICATIONS: Positioning of an executive at any level across earned, owned, and share platforms. The one-page summary should include information about the executive and stated objectives, quantification of results as well as copies of significant placements, social media, posts or memos. B08. BEST USE OF SOCIAL STORIES: Did you take social storytelling to another level? How did you use YouTube, Facebook, Instagram or Snapchat to tell your brand's story? Share screenshots or links to your story and provide the results. B09. TWITTER ENGAGEMENT: How did you interact with your audience in real time? Show your most interactive Twitter accounts with measurements like Retweets, likes, impressions and clicks. What impression did they leave on your audience? B10. FACEBOOK ENGAGEMENT: How did you use Facebook to share your message and engage your audience? How did it enhance your overall marketing plan? Did it lead to increased activity and viral reach? B11. YOUTUBE ENGAGEMENT: Did you make a popular YouTube video that persuaded your audience not only to watch but also comment and share the video? Share the videos that you created that combine storytelling and great production. In addition to the video please provide measurable objectives, such as the number of comments, shares and social reach of your video. B13. LINKEDIN: Show how you used this social media gateway to optimize the company’s business stature through announcements, engaging articles or other creative ways. B14. PINTEREST: How did you engage followers and increase brand awareness and sales through use of beautiful graphics? Show links to your Pinterest boards along with metrics. B15. NEW DIGITAL PLATFORM: Did you launch a new website, newsroom, App or other digital platform? How was it launched and how much risk was involved in your marketing plan? What platforms were used? What value did the end user receive and how did it match goals? This entry can be completed by a vendor or the customer. B16. MOBILE APP: Use of mobile applications as part of a public relations program. Include copy and any images of key pages to support your one-page summary. Additionally, include brief instructions on how to download the application. B17. BEST USE OF DATA ANALYTICS: How did it uncover hidden patterns, correlations or other insights to help make quicker and more efficient business decisions to gain a competitive edge? B18. WEBSITES: Use of a website as part of a communications or content marketing program. Include screen grabs or copies of key pages to support your one-page summary. Additionally, include the website URL for external sites. B19. WORD-OF-MOUTH: Tactics that get key audiences talking or provide an avenue for conversation through the use of different techniques, such as viral marketing, sampling programs, loyalty programs, etc. B21. ANNUAL REPORTS: Publications that report on an organization’s annual performance. Upload a sample of one copy of the publication, along with a one-page summary. B22. BLOGS: Web-based journals, or blogs, that communicate either a corporate, public service or industry position. The one-page summary should include rationale for blogging strategy, target audiences and statistics, or other means of quantifiable measurement to support stated objectives. Screen downloads of the blog being entered, as well as the actual site URL, must be submitted as part of the story. B23. DIGITAL NEWSLETTERS: Publications designed, written and published periodically to provide brief and timely information to target audiences while supporting an organization’s overall objectives. Upload samples of three consecutive issues, along with a one-page summary. B.24 DIGITAL PUBLICATIONS: Single-issue publications (newsletters/booklets/calendars) designed for a special purpose. Books and other publications not eligible for consideration in other categories should be entered here. Upload a sample of one copy of the publication along with the one-page summary. B25. ONLINE VIDEOS: Pre-produced videos distributed online to inform target audiences of an event, product, service, issue or organization. Entries may consist of an edited video and one of any sound bites. The one-page summary should include usage statistics or other means of quantified measurement to support stated objectives. B26. BEST USE OF BRANDED CONTENT: Use of content generation to promote a particular brand which funds the content's production. B27: WEBCASTS: Media files distributed over the Internet using streaming media technology. May be live or recorded. Submit the one-page summary and upload or provide YouTube/Vimeo links of the webcast, as well as the actual site URL. B28: INNOVATION IN CUSTOMER SERVICE: Customers are wielding more power and demanding more from customer service. How did you demonstrate transformative innovation by introducing something new which revolved around the customer’s needs and had a big impact on the company’s service performance? Provide metrics. B29: PODCASTS: How did you tell your story – was the purpose to teach or share? Was it intended for internal or external audiences and was there engagement on multiple platforms? Provide listener feedback. B30: MAGAZINES: Publications designed to provide in-depth information about an organization or topic on a regular basis. Magazines typically differentiate from newsletters by the number of pages and length of articles. Upload samples of three consecutive issues along with the one-page summary. B31: PRSSA TACTIC: Any tactic conceived and executed by a PRSSA student or team. The Professional Recognition Summary should provide evidence of traits demonstrating the best in his/her/their field, such as communication skills, public relations expertise, creativity and integrity. See individual categories for specific summary instructions. Additional work samples or documentation such as clips, presentations, etc. may be included. Some categories also must include letters of recommendation. C01. PUBLIC RELATIONS PROFESSIONAL OF THE YEAR: Recognizes an established practitioner for exceptional leadership and professional accomplishments between July 1, 2016, and June 30, 2017. Individuals may nominate themselves or be nominated by others. Past Blacksmith winners are not eligible. C03. INDEPENDENT PRACTITIONER OF THE YEAR: Recognizes an outstanding independent/solo practitioner for his/her accomplishments between July 1, 2016, and June 30, 2017. Individuals may nominate themselves or be nominated by others. Past Blacksmith winners are not eligible. C04. PR EDUCATOR OF THE YEAR: Recognizes an outstanding educator for accomplishments and contributions to academia and the larger PR field during the 2016-2017 school year. May be nominated by students or professionals who have knowledge of the educator’s classroom practices and development of future PR professionals. Past Blacksmith winners are not eligible. Recognizes an outstanding Public Relations Student Society of America member at Miami for his/her accomplishments during the 2016-2017 year. Teachers and PRSSA advisors may nominate a student whom they believe has demonstrated great leadership and skills in public relations. Past Blacksmith winners are not eligible. Recognizes an outstanding Public Relations Student Society of America member at NKU for his/her accomplishments during the 2016-2017 year. Teachers and PRSSA advisors may nominate a student whom they believe has demonstrated great leadership and skills in public relations. Past Blacksmith winners are not eligible. Recognizes an outstanding Public Relations Student Society of America member at UC for his/her accomplishments during the 2016-2017 year. Teachers and PRSSA advisors may nominate a student whom they believe has demonstrated great leadership and skills in public relations. Past Blacksmith winners are not eligible. Recognizes an outstanding Public Relations Student Society of America member at Xavier for his/her accomplishments during the 2016-2017 year. Teachers and PRSSA advisors may nominate a student whom they believe has demonstrated great leadership and skills in public relations. Past Blacksmith winners are not eligible. The CEO Communicator of the Year Award honors the outstanding performance of Cincinnati-area chief executive officers in their roles as chief communicator. The role of the CEO has evolved. Not only do CEOs encourage and adapt to changing business models, but frequently the CEO must also take the lead in communicating with employees, shareholders, customers, suppliers and other stakeholders to achieve success for his/her organization. PRSA will recognize a CEO who has shown outstanding communications leadership within his/her own company or perhaps in an industry. Nominees must be chief executive officers or hold equivalent positions. Nominations should be based on accomplishments between July 1, 2016, and June 30, 2017. Past Blacksmith winners are not eligible. Recognizes an outstanding communications working group in a company setting (not an agency) for exceptional professional accomplishments between July 1, 2016, and June 30, 2017. Individuals may nominate their own team or the team may be nominated by others. C11. SMALL/MID-SIZE AGENCY OF THE YEAR: Recognizes PR agencies that have one to 12 full-time employees. The award will honor an established greater Cincinnati PR agency for its professional accomplishments between July 1, 2016, and June 30, 2017. The award is open to agencies that began operating before Jan. 1, 2015. Agencies must be operated in the Greater Cincinnati area and demonstrate successful PR campaigns and tactics. C12. LARGE AGENCY OF THE YEAR: The Large Agency of the Year award recognizes PR agencies that have 13+ full-time employees. The award will honor an established Greater Cincinnati PR agency for its professional accomplishments in between July 1, 2016, and June 30, 2017. 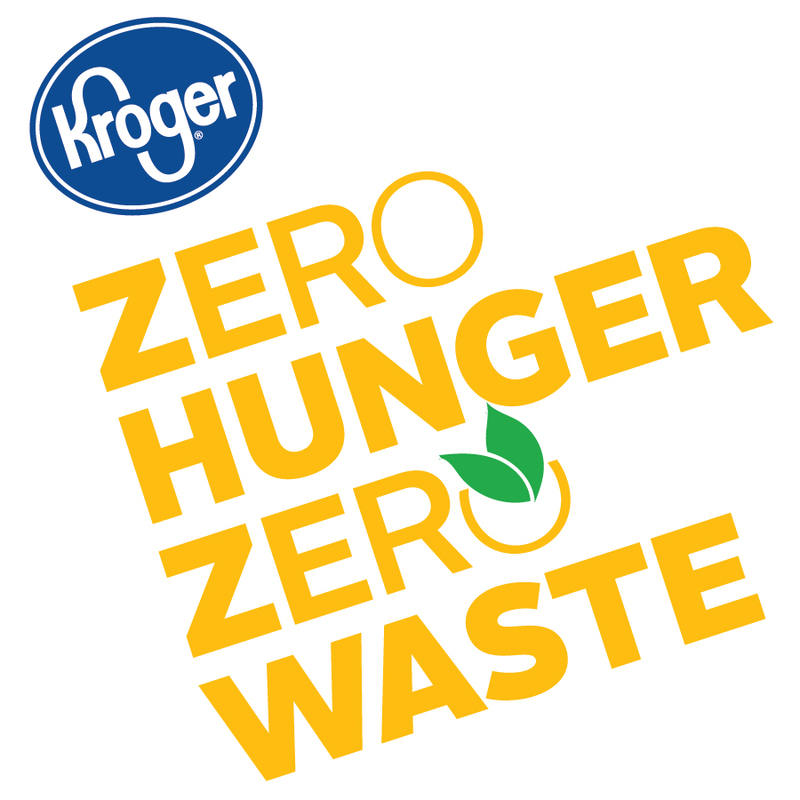 The award is open to agencies that began operating before Jan. 1, 2015. Agencies must be operated in the greater Cincinnati area and demonstrate successful PR campaigns and tactics.